I've never been too particular with beauty products when I was growing up, let alone skin care. Whatever my mom puts on that soap dish, I'd use it without question. I thought "they're all soaps anyway, and I bet they all do the same job – to get rid of dust and dirt from my skin"... until I began experiencing some skin problems myself. "Ughh, this makes my skin dry," or "this one's too sticky" and all that. At last, I gave in to the call of my skin. Of course, it's a trial and error method, but after all the brands I've tried, I finally found the perfect soap that suits my skin type. The unexpected package from Viviamo! 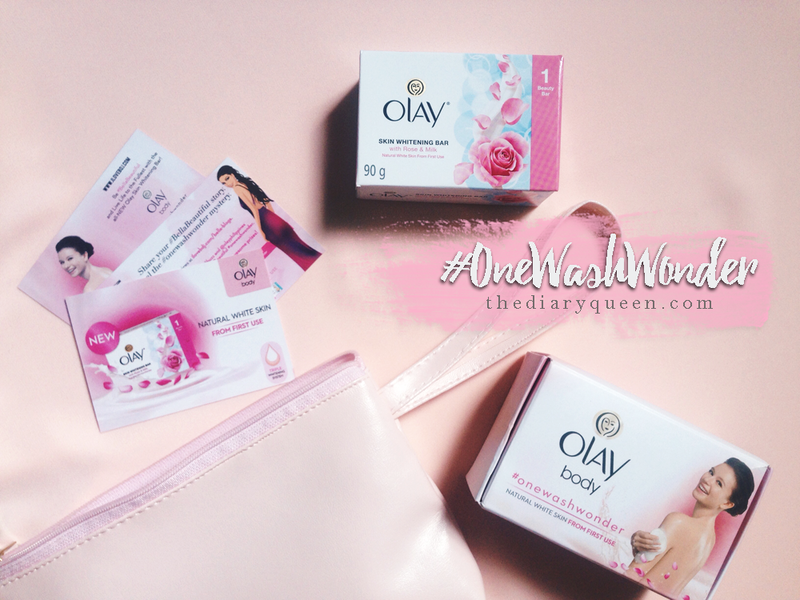 and Olay Philippines came in the mail last week, and I was more than excited to try one of their latest products! The Olay Skin Whitening Bar With Rose and Milk has been recently launched, along with two other variants – Papaya and Vitamin C.
Another whitening soap? I'm sure we've all heard of different horror stories about failed attempts to whiten their skin and all other effects such as skin irritation, peeling, intense dryness, stinging sensation, etc. But this body bar is dermatologically and clinically tested to be gentle on skin with naturally-derived ingredients like rose, pearl and milk extracts. So if you're not a huge fan of whitening products (like me), there's nothing to worry about because Olay promises nothing more but to reveal your natural skin, exfoliate and wash away dead skin cells, and even your skin tone to make it look clean and clear. Nothing harsh. No empty promises. Verdict: I will definitely stick with this soap. We, Filipinas, are known for our naturally-morena complexion and I love how Olay doesn't seem to go overboard when it comes to this, because technically, it simply enhances your natural skin. Definitely a "whitening" game changer. And I highly recommend to try this yourself for a #onewashwonder experience! Olay Skin Whitening Bar is available in supermarkets and drugstores nationwide. It comes in 60g (PhP 34) and 90g (PhP 46) bars. This is a sponsored post by ilovebdj.com and Olay Philippines. However, all photos, contents and opinions are solely my own and not, in any way, influenced by the sponsors. GIF created by gifcreator.me. Hi, Jannette! The scent is reaaaaally good. <3 It's available in supermarkets naman, and I think they're doing a 2+1 promo, so yay! I can say that Olay is really gentle. 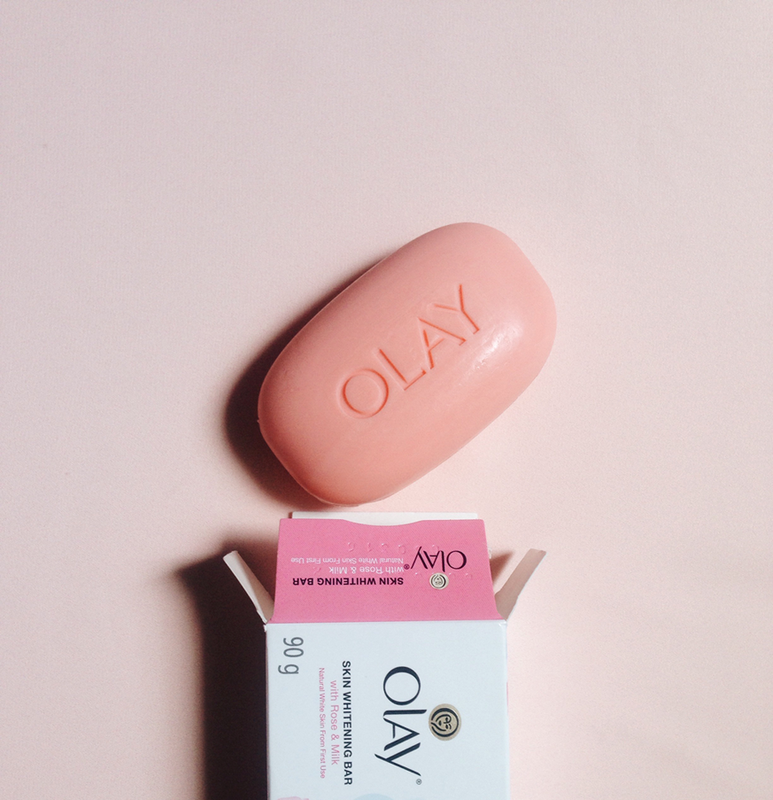 When BDJ sent me an Olay body wash before, I was soo addicted to it that I wouldn't use a regular bar soap anymore. It makes the skin really soft. I haven't repurchased yet coz I just use the regular Safeguard soap now para sa aming lahat sa bahay. Hehe. Same here! Because it reaaaally smells SO GOOD, I keep using it twice whenever I'm taking a bath. No regrets, though. Lol. Make sure you try this one out once you've finished that safeguard, Rea. Haha!